The shapes of Melissa Kaye's pieces are as unique and varied as the things that inspire them - the designer says everything from the people to the architecture of New York City can play a role in her collections. 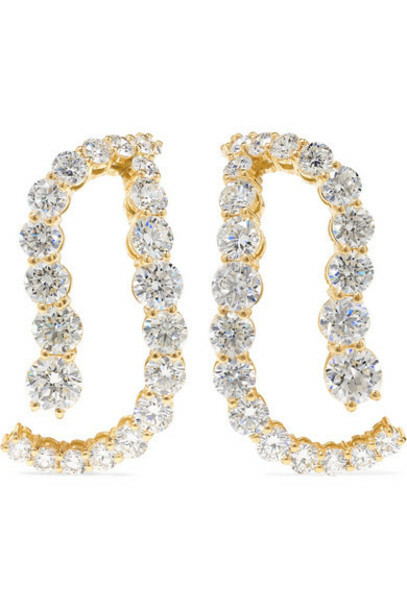 These 'Aria Skye' earrings are cast from 18-karat gold and set with 3.90-carats of glittering round-cut diamonds that appear to climb up and around your lobe. Keep them in focus with swept-back hair.